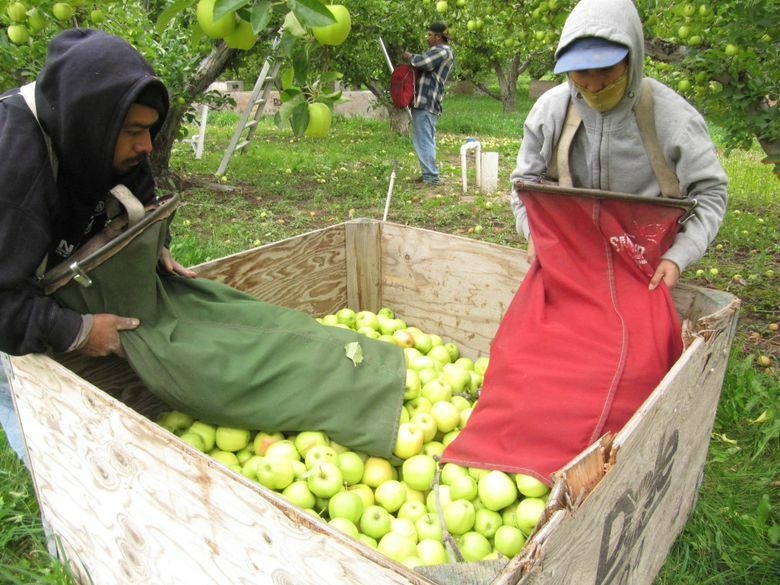 ‘Crops go unharvested and animals go uncared for.’ Concerns about Washington farmworker shortage grow. For Washington’s iconic crops — apples, cherries and pears — the work lasts less than six months. Construction jobs, on the other hand, generally last longer and pay more. 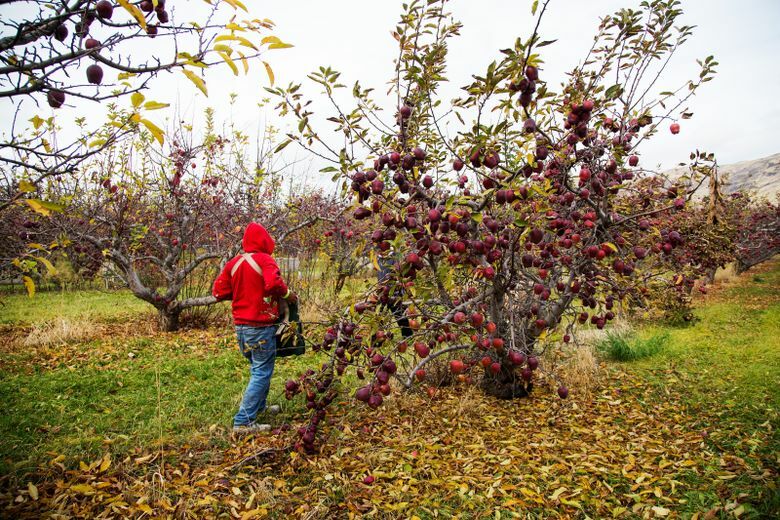 It’s nearly apple-picking time in Washington’s Yakima Valley. 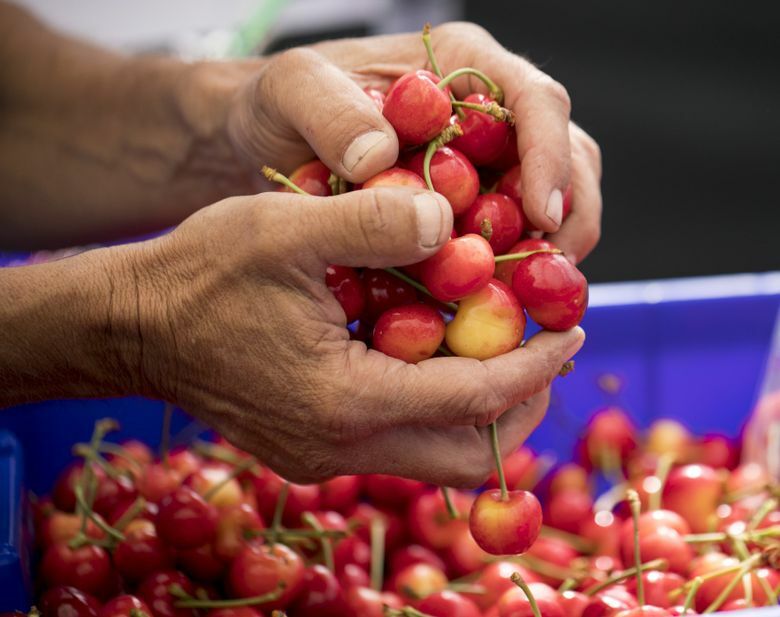 Cherry season will be around for a few more weeks, and a bounty of other fruits and vegetables are maturing on branches and in fields. It has been an issue in Washington and other farm states for several years because fewer U.S. workers want to take agricultural jobs. The primary reason is that farm work is seasonal. Meanwhile, the federal government’s guest-worker program, which permits employers to import labor on a temporary basis if they can demonstrate that Americans don’t want the jobs, is too expensive for some growers and useless for dairy farmers. That’s because the program — known as H-2A visas — is designed for seasonal growth cycles and shorter stays. The visas are for 10 months or less. Growers who require seasonal labor have to jump through several hoops to be able to take advantage of the guest- worker program. Among meeting other requirements, they have to agree to supply workers with housing, subject to state inspection. Farmers are also afraid of losing overseas markets because of the trade dispute President Donald Trump triggered with countries that purchase a lot of U.S. commodities. Importers have to pay a higher tariff on U.S. goods. But a revolt over the tariffs is brewing among lawmakers on both sides of the aisle, particularly those from farm states. Washington is the third-largest exporter of food and agricultural goods in the country; among them fruits, vegetables, wheat and seafood. If the guest-worker program is extended, those workers should be eligible for immigration status, Goldstein said, because otherwise they have few rights despite the possibility of working in the U.S. for a longer period of time. Crackdowns on undocumented immigrants put many farmers in a bind. An estimated 1.2 million undocumented farmworkers are in the U.S.
Austin Allred, a 28-year-old dairy farmer who raises 5,500 head of Jersey and Holstein cattle near Royal City, Grant County, said there needs to be a solution that allows immigrant farmworkers to qualify for citizenship or legal status. The labor shortage is exacerbated by a national unemployment rate of just 4 percent — 4.7 percent in Washington. What seems likely is that any changes to address the concerns of growers and dairy farmers about labor shortages and the guest-worker program in the Pacific Northwest and throughout the country likely will have to come from the Trump administration. 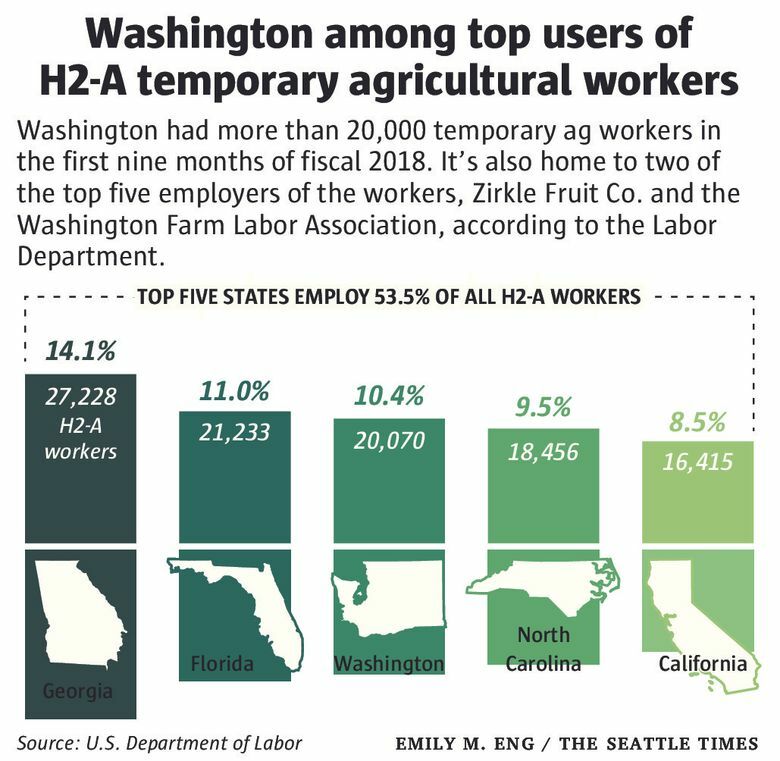 Representatives of the construction industry in Washington, which hires temporary guest workers through the Labor Department’s companion H-2B visa program for nonagricultural workers, said they have not experienced the kinds of problems that nettle farmers.